adidas Superstar trainers inspired by the early days of hip-hop. 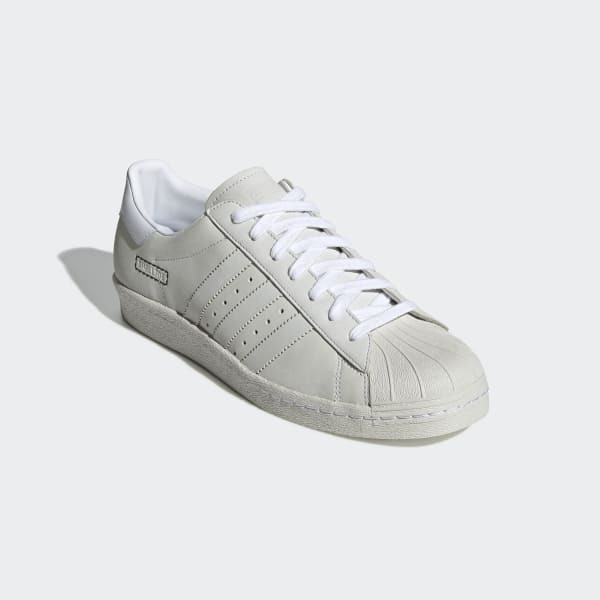 Born in the 1970s, the legendary adidas Superstar shoes have never gone out of style. This version is inspired by the early days of NYC hip-hop. "Shelltoe" on the side nods back to the '70s name for this classic sneaker. Fat laces and serrated 3-Stripes are inspired by vintage streetwear looks. The leather upper feels soft to the touch.